Landscaping Company Bedford MA | Concord Tree & Landscape LLC. Your property is the greatest asset of your life. 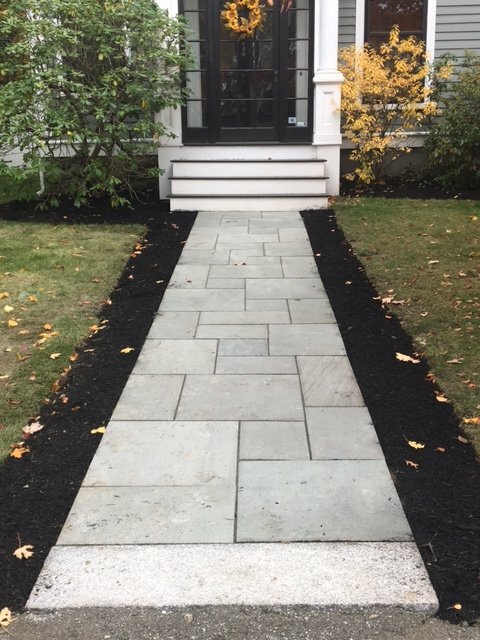 Thus, to arrange things on the exterior front you can take the best help of Concord Tree & Landscaping and this is the truest Bedford landscaping company one can approach in time. You can trust us as the standard and the genuine landscaping company with the best of reputation in the field. Concord has gained complete popularity and perfect reputation in the genre of property landscaping. You can look online and get to know more about our quality gardeners and landscapers. Concord has years of experience in the field of landscaping. You can get to know more about us through the portfolios we have. We are the capable and the perfect landscaping company Bedford making use of the right landscaping designers and professionals to improve the property look and feel. We share our objectives and plans with the owner of the landscape. We try and understand the issues concerning your garden. We have the best experts who can understand how to execute things for achieving the set of goals. We suggest you on having the right collection of trees in the garden. We help you with tips regarding the right maintenance of the garden area. The designers and the landscapers at Concord work hard in restoring the freshness of your garden area. We are the authentic Bedford landscaping company with the right specialty in the genre. The professionals at the place have the best plans and tools in retaining the look and the appeal of the home exterior. We are always ready to help you with the required advice and suggestions so that you can look after things on your own. Our intervention in the initial stage can indeed alter the look of the domicile and attract the attention of property buyers. Concord is the best name in the field of landscaping. We are the chosen and the right landscaping company with the essentialities and the specialties in store. We work as a team to change the look of the property. We have the best combo of the tools and the labors to work hard on the given landscape project. If you have the plan to change the look and quality of the exterior garden area you can give us a pleasant call at Concord Tree & Landscaping.